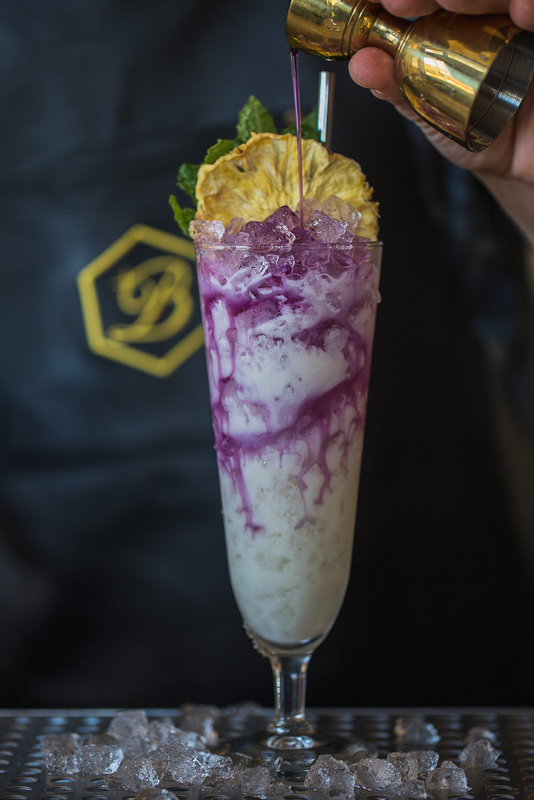 Thanks for reading my first column for Bay Area Bites! I’m so thrilled to write for KQED on a weekly basis. I have been writing the tablehopper column since 2006, covering the SF Bay Area dining and bar scene, in addition to hosting events and special dinners, and doing a great deal of freelance writing (you can read more about my food writing background on tablehopper). Food and beverage lovers will want to subscribe at tablehopper.com, and the @tablehopper social media accounts feature the latest openings and where to eat! See you back here for more Table Talk on Mondays. Been missing Mad Men? The swanky sets? Well, no skinny tie is needed to soak up some 60s vibes at the soon-to-open Mission bar, The Beehive. This mid-century salute of a bar is opening in the former Range, with original chef-owner Phil West partnering with Arnold Eric Wong and Steve Werney on the project. Pull on up to the front bar’s 13 seats, and there’s room for another 10 at a ledge. 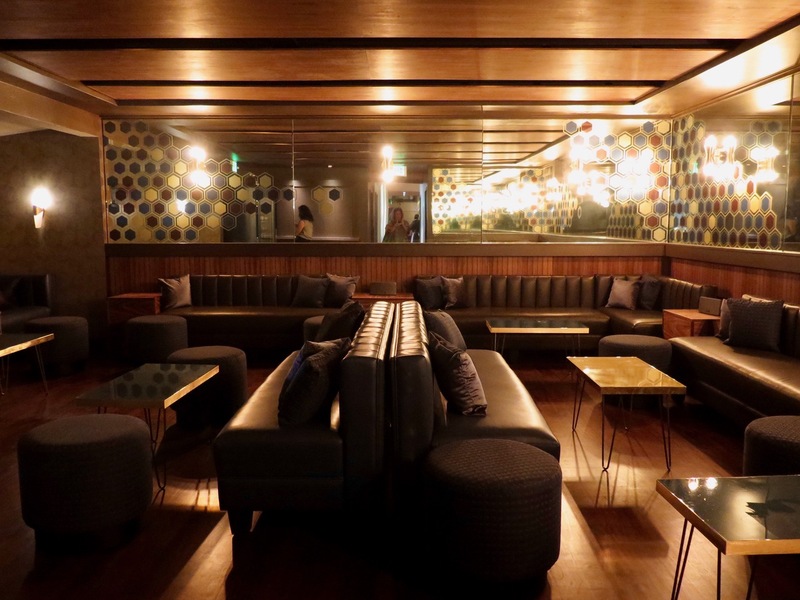 Walk past the retro mirrored wall—and a little curtained niche, the Honeycomb Hideout (with room for four)—into the far back, and the former dining room is now a loungey and low-slung space, with its own bar and room for 50 (meet your next private party dream pad). There are some quality touches, like a custom walnut ceiling and the chic cocktail tables, plus a Caesarstone quartz bar with a red leather bumper. 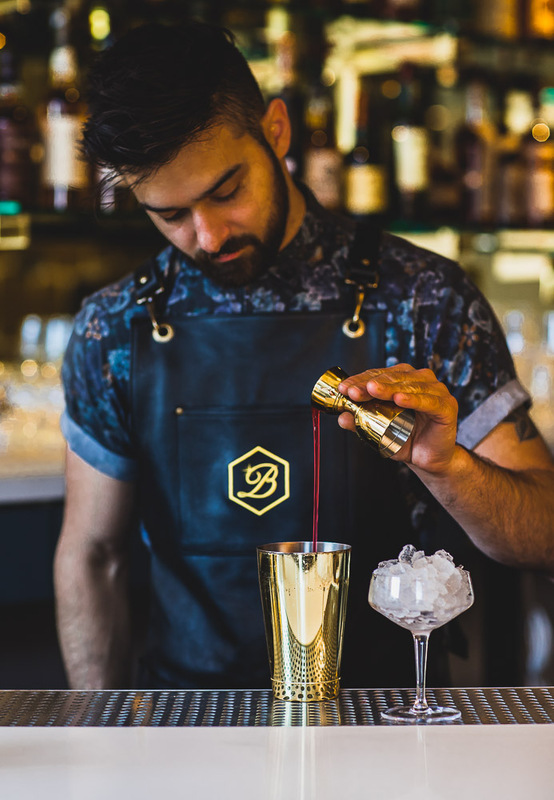 As for the cocktail menu, you’re going to enjoy balanced yet playful cocktails from lead bartender Emilio Salehi and Carlos Yturria that come in some charming vintage glassware, with some pretty spiffy garnish too. 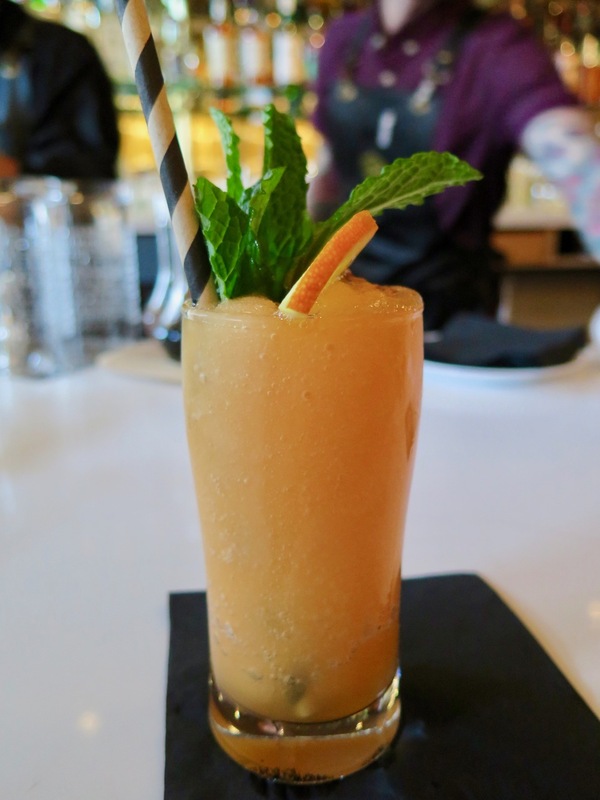 Something retro (and pretty wrong) like Tang gets an amazing update with the Gemini, made into a Tang-based slushy spiked with vodka and manzanilla sherry, and it’s what you’re going to want on the next heat wave. 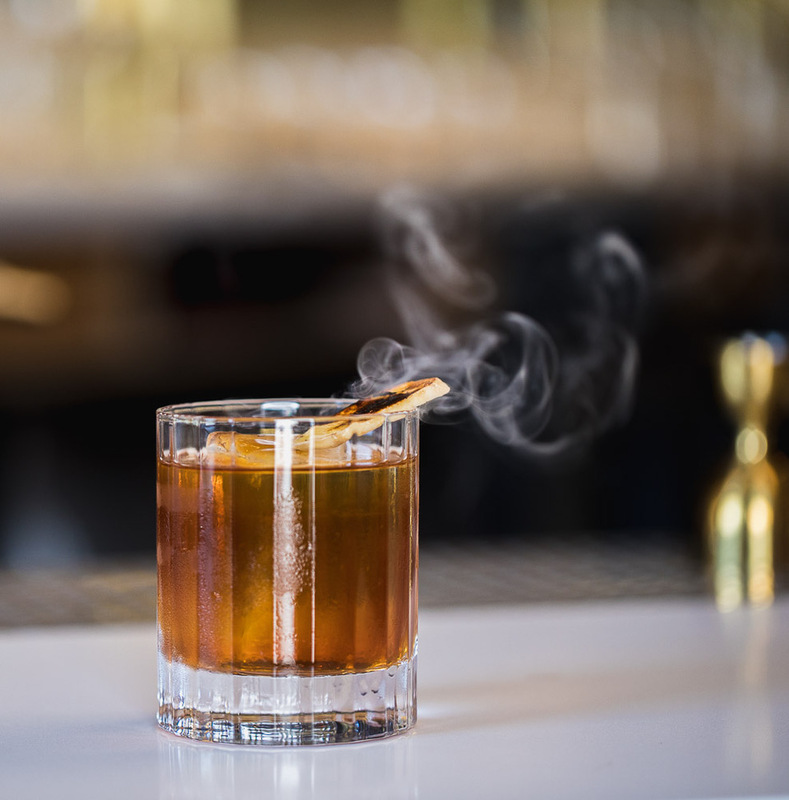 The Fickle Fox is a wonderful nightcap—with the right amount of aperitif that becomes digestif with cognac, Cappelletti, Gran Classico bitter, and Cocchi di Torino. 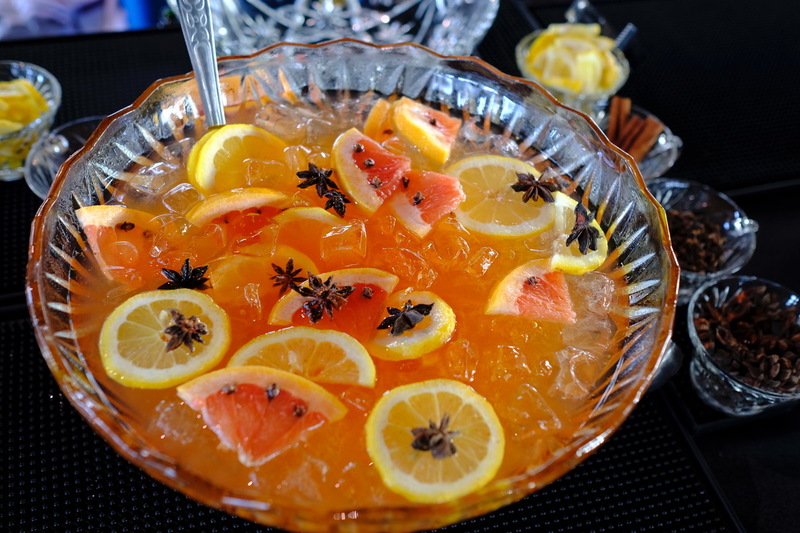 There are also highballs, beer, cider, and wines by the glass. The team (which includes executive chef Byron Gee, formerly at The Rotunda at Neiman Marcus) definitely had fun with the food menu, making it into a 1960s cocktail party, from deviled eggs and rock shrimp–stuffed egg foo young fritters to Mission shrimp cocktail (gotta honor the neighborhood) and Swedish meatballs. A main highlight is the fondue section, with your choice of aged cheddar; piquillo pepper and mezcal; or kaltbach cave-aged cheese and saison; all served with potatoes, broccoli, and bread ($24 for small and $40 for large; add crudité vegetables, beef filet, or sausage too). Pineapple upside down cake for dessert, fun. Don Draper would approve of the well-designed menu, complete with vintage ads. The bar is now open Mon–Wed 5pm–12am, Thu 5pm–2am, Fri–Sat 3pm–2am, Sun 2pm–10pm (food served until one hour prior to close). Follow @thebeehivesf for more. 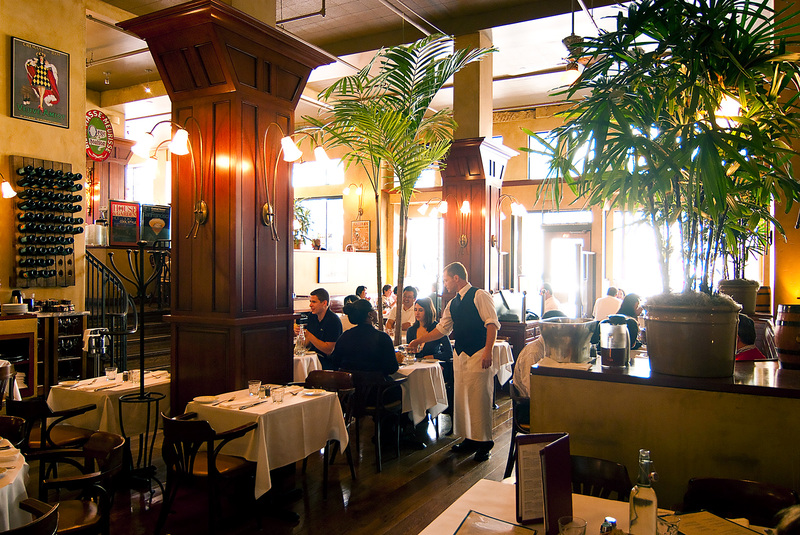 Downtown French bistro standby Café de la Presse (from chef-owner Laurent Manrique) has started beefing up the dinner menu with a varied selection of classic steak cuts using meat from Dogpatch’s Olivier’s Butchery, an old-fashioned and beloved local French boucherie. You can now order New York, ribeye, bavette, filet mignon, and côte de bœuf cuts, plus a Black Angus burger—the steaks are aged a minimum of 21 days, and Olivier’s sources from sustainably minded ranches, and hand-cuts to order. The next time you’re craving steak frites for dinner, you know where to go. Some unfortunate news about a longtime and treasured SF restaurant: Katia’s, the Russian tea room in the Inner Richmond, is going to be closing on May 1, after being with us since June 21, 1994. Katia’s has been a special part of San Francisco’s Russian community, a gathering place for regular guests who would come in for a fix of owner Katia Troosh’s pelmeni, vareniki, blini, and Russian Easter bread. But not all is lost: her daughter, Helen Simmons, wants to take over the location and make it into a café. Details are a little slim at the moment, but Katia says she will be hovering about and helping, and hopes to host some pop-up dinners there for those who miss dining at Katia’s. She also mentioned she’s going to be doing some catering, making her pelmeni and piroshki. The restaurant’s last service is Sunday, April 29, and starting May 1 will be closed for a refresh. Stand by for more on the second generation’s café. One of the city’s better annual food events is coming up: Taste of Potrero, now in its eighth year, will be held on Thursday, May 3. The event is a major fundraiser for Daniel Webster Elementary School: ticket sales make up over 75 percent of the Daniel Webster Elementary PTA’s budget and help fund arts enrichment programs, classroom supplies, computer instruction, and more. 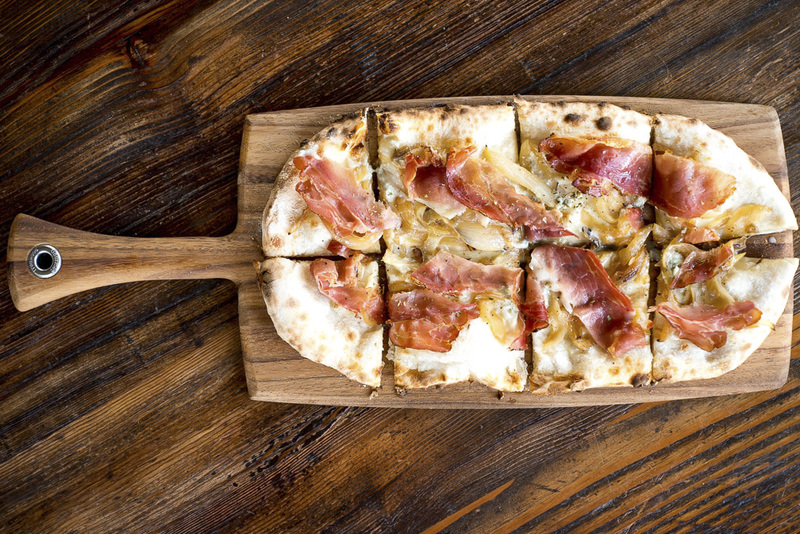 The lineup of over 50 top restaurants and bars includes Nopa, Trick Dog, Rooh, 4505 Burgers & BBQ, Piccino, and Aina. Cocktails, craft beer, and quality wines will also be flowing. The event runs 7pm–10pm. Ticket are $150 for general admission and $250 for VIP. Special shout-out to NonPlusUltra, who are donating The Midway in Dogpatch as this year’s venue. Since I’m going to be writing this weekly column for Bay Area Bites, it would be great to meet you in person! 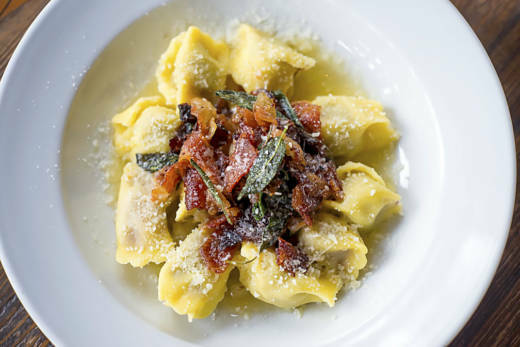 And look at that, I’m hosting a tablehopper pre-opening party on Thursday, May 3 for Donato Scotti’s Cento Osteria, opening in May on the Embarcadero in the former Caputo. Come by for apericena, which will be an abundant spread of party bites, from wood-fired pizzas, to stuffed pasta, roasted suckling pig, antipasti, vegetable sides, and your ticket includes three drink tickets, which you can use on Aperol Spritzes or Negronis (or one of my favorites, a Sbagliato), and an array of wines will be available too. 6pm–9pm. Tickets are $50, and our charity partner for the evening is Family House. Hope to see you!